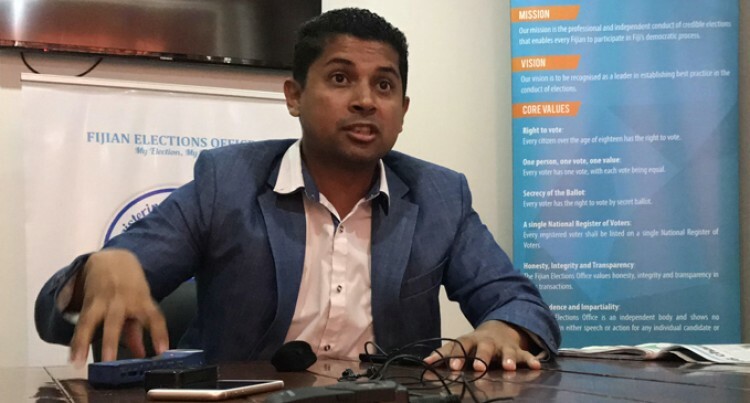 Political parties must ensure that the confidentiality of voters’ information should be maintained at all times, says the Fijian Elections Office (FEO). The FEO issued the statement after SODELPA representative Jale Baba posted names and residential addresses of 165 Fijians on his Facebook Page on Sunday. “We urge all political parties to immediately create their own internal rules for maintaining confidentiality and secrecy of information of voters and should the FEO find that this is not happening, we will take the necessary actions in relation to the powers that we may have under the law. “The FEO has been made aware of activities by SODELPA representative, namely Jale Baba, who has pasted contents from Voters List on his Facebook Page and we note the nature of the article in the Fiji Sun which states that the said publications represented thousands of people on Facebook,” the statement said. “The FEO officially released the Voters List to SODELPA pursuant to the Electoral Act to facilitate the SODELPA preparations for the 2018 General Election. The FEO said the release of the names and addresses could be deemed dangerous, especially when released on social media. “We noted that the said publication on Facebook does not directly aim to be the attempts by the political party to reach voters, but rather a publication on a general accessible medium and thus the dangers of such publications is that voters’ details are now accessible through social media. The FEO stated that the Fijian electoral framework does not have secrecy permissions for various categories of voters and this posed a live danger for persons holding various official positions, as well as persons who may be under domestic restraining orders, or persons who simply would never prefer to have their details published on a social media site. SODELPA general secretary Adi Litia Qionibaravi could not be reached for comment when this edition went to press last night.